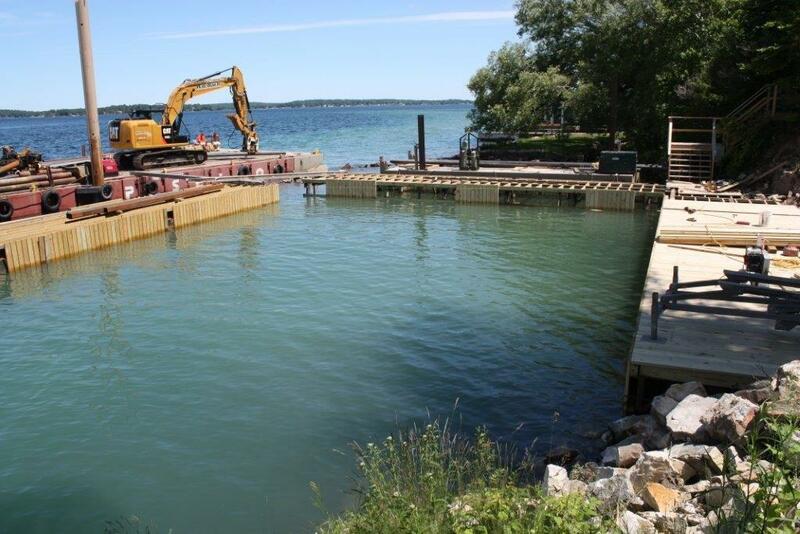 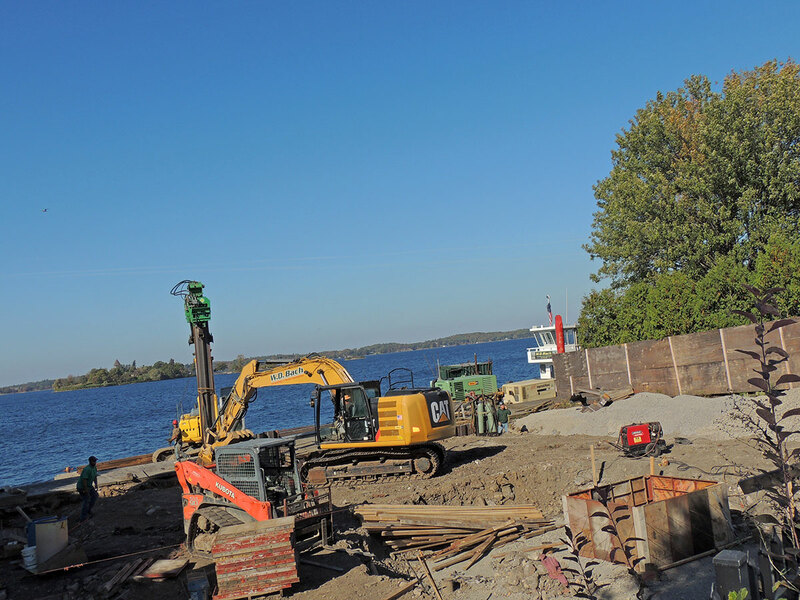 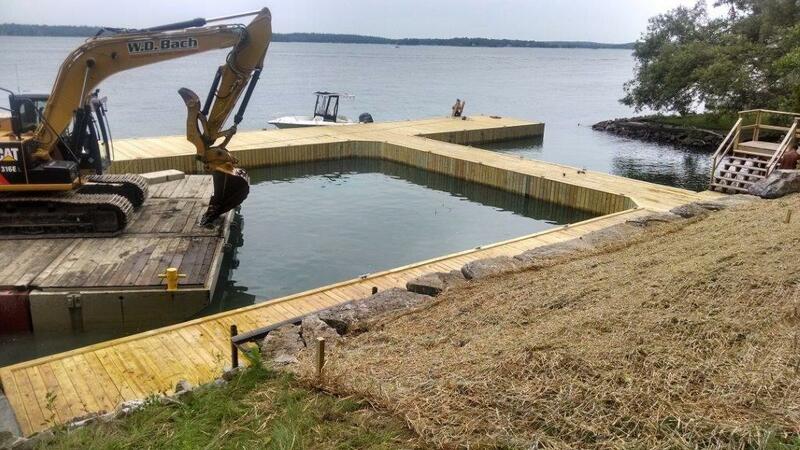 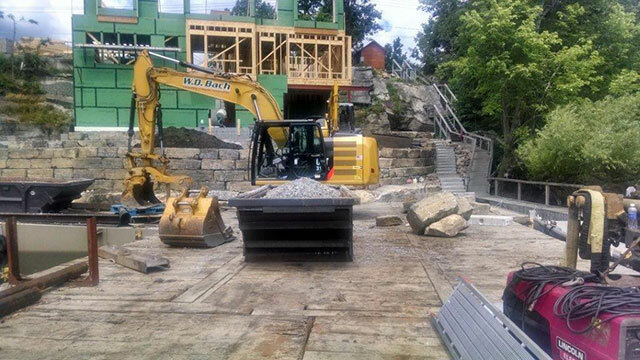 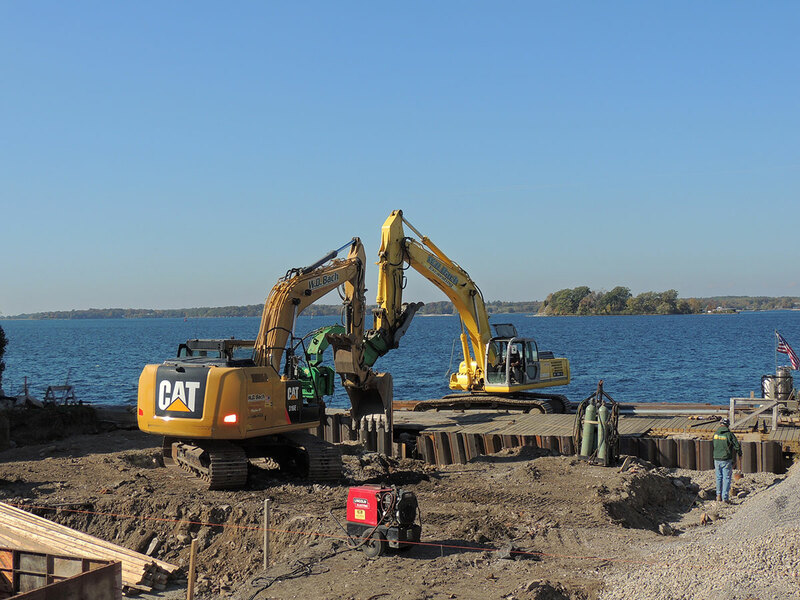 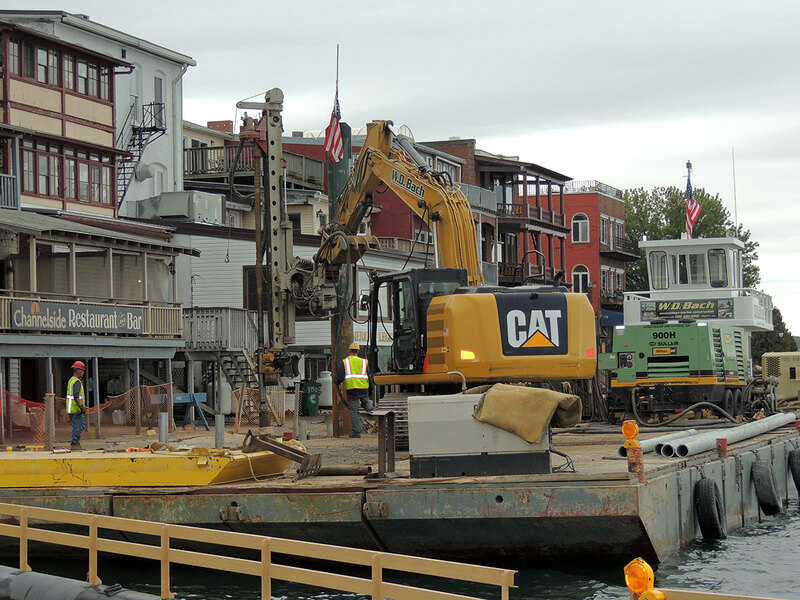 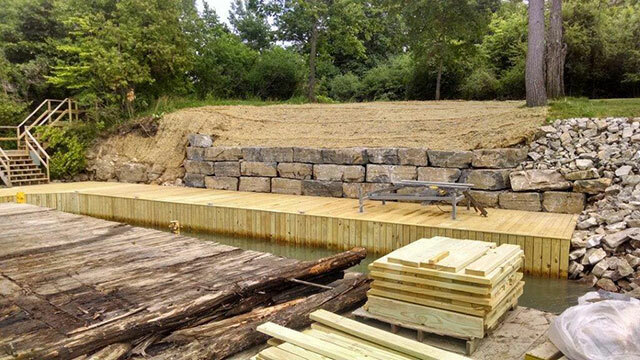 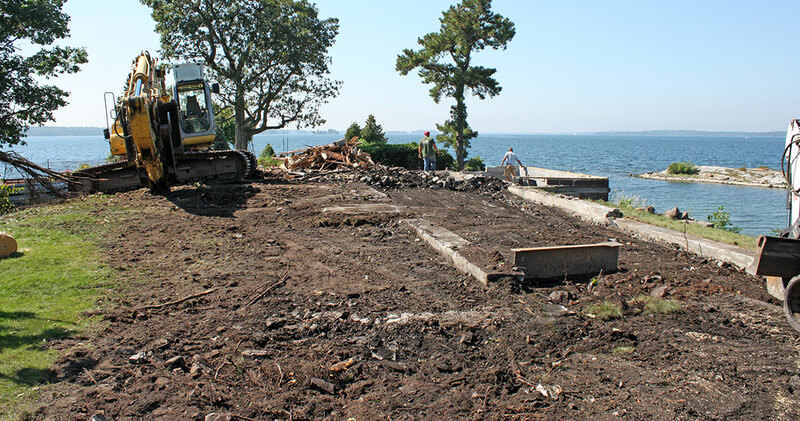 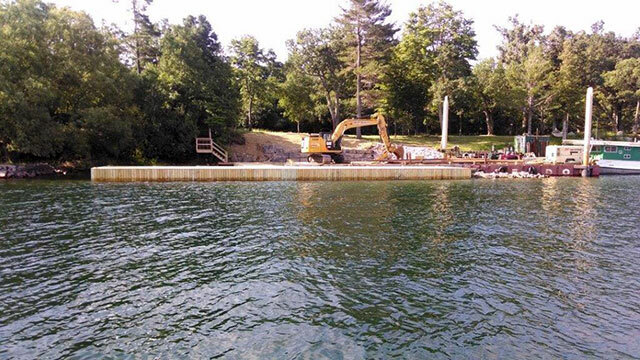 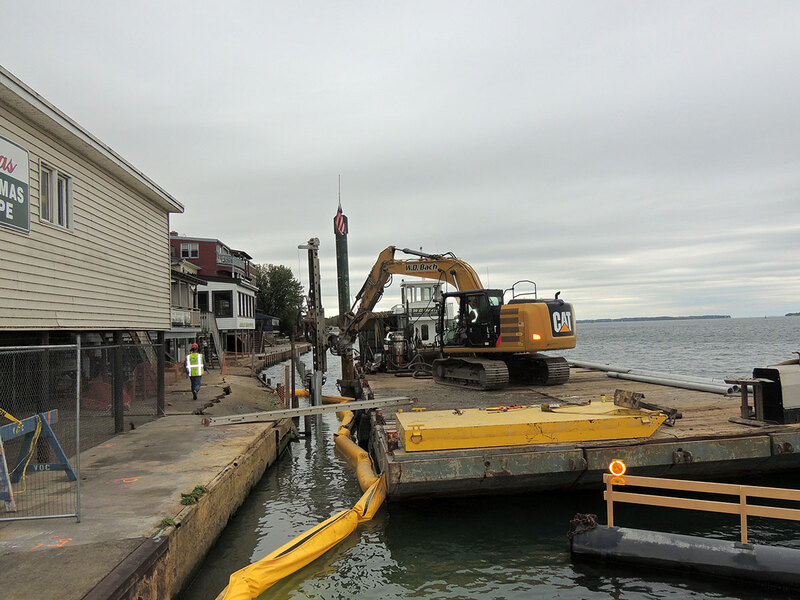 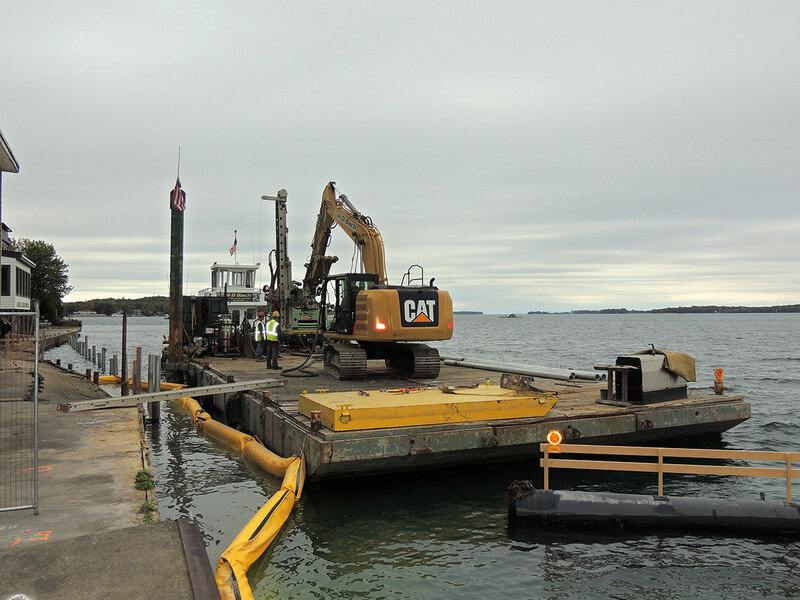 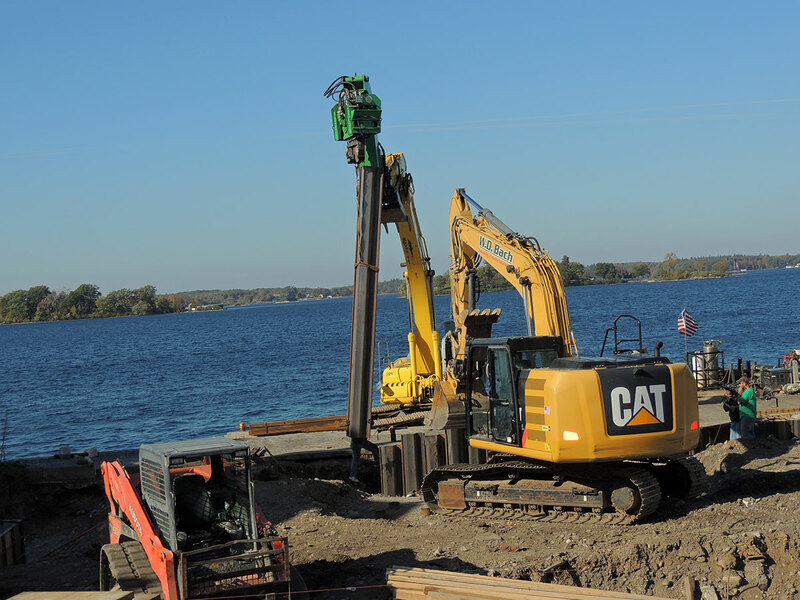 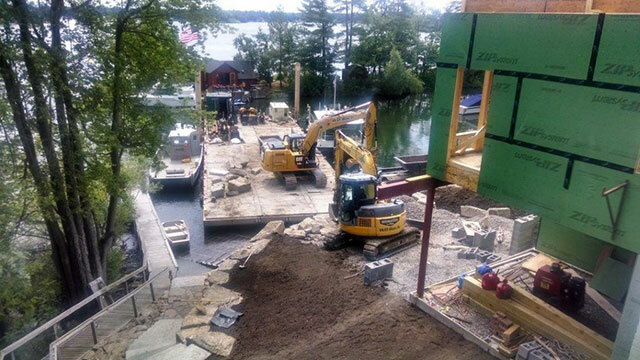 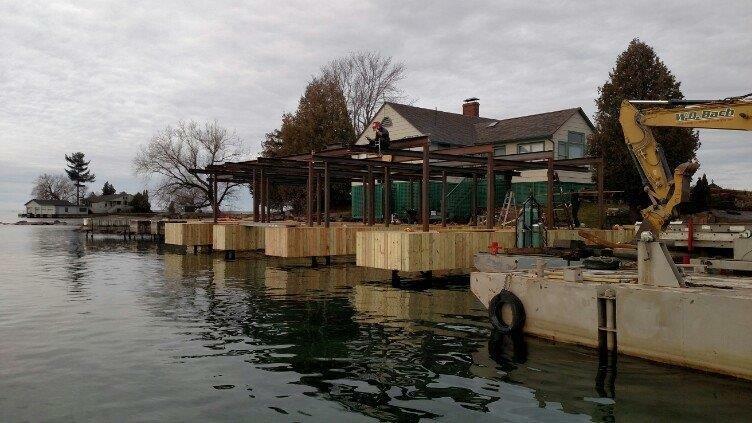 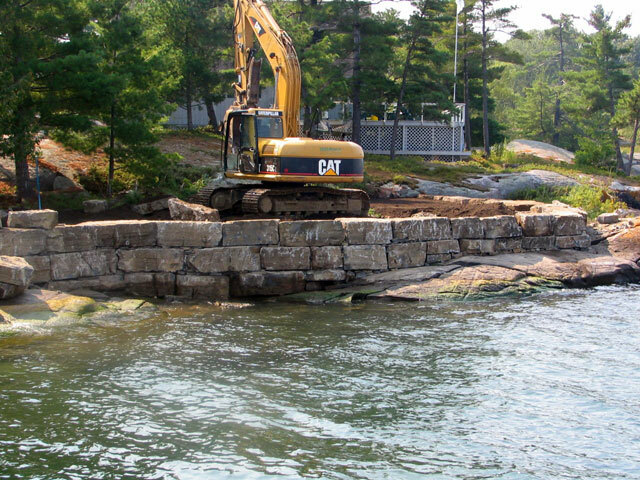 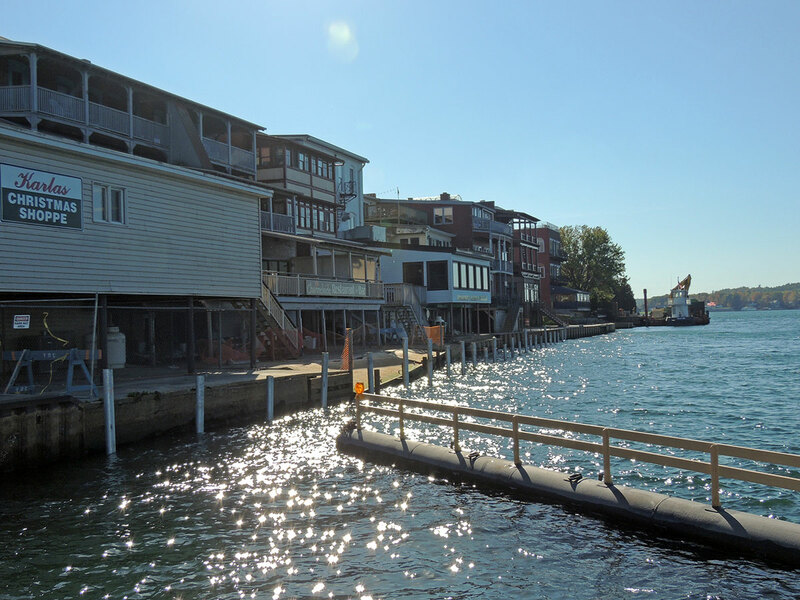 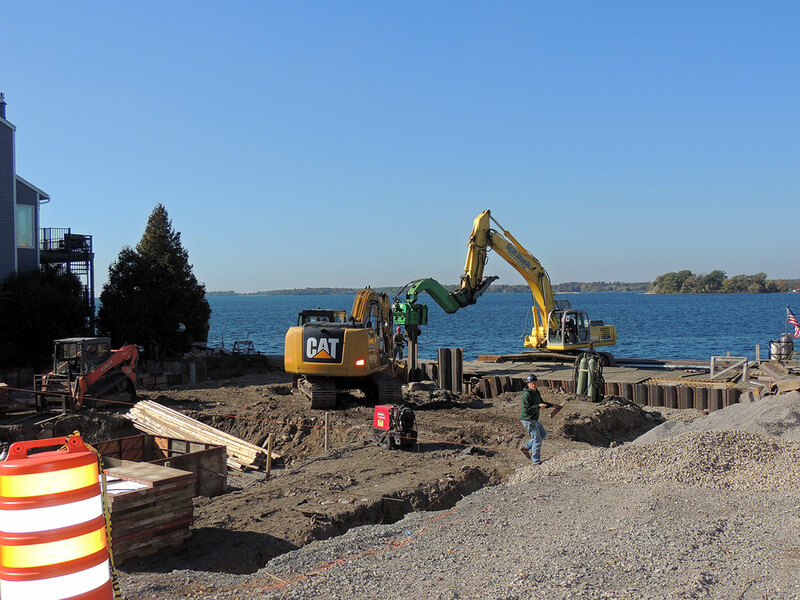 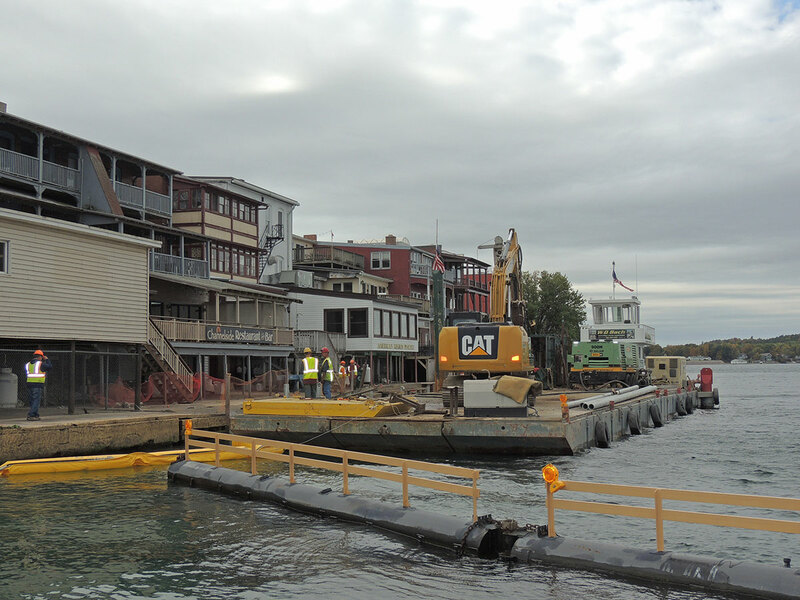 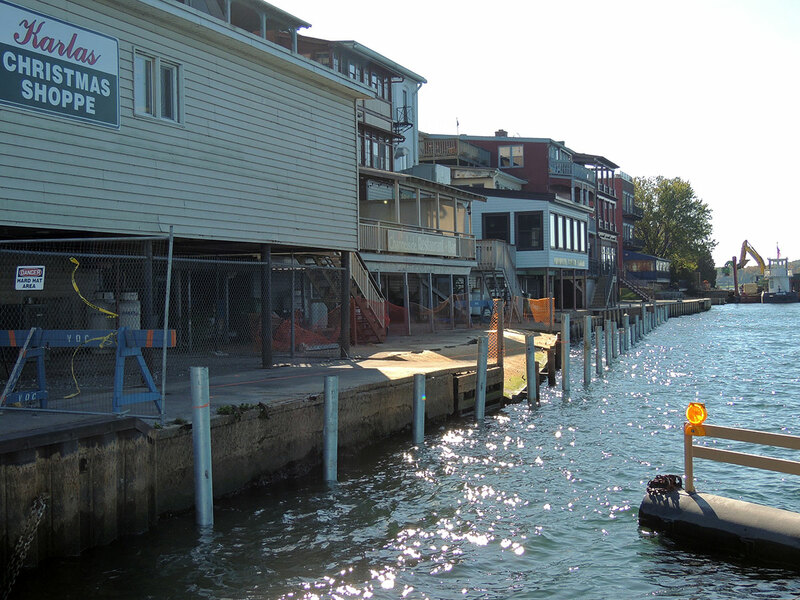 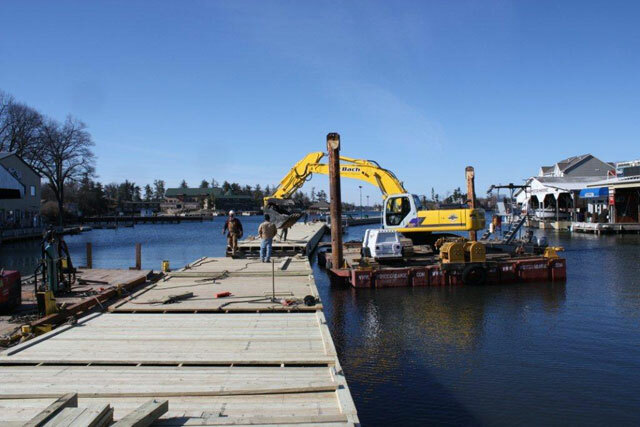 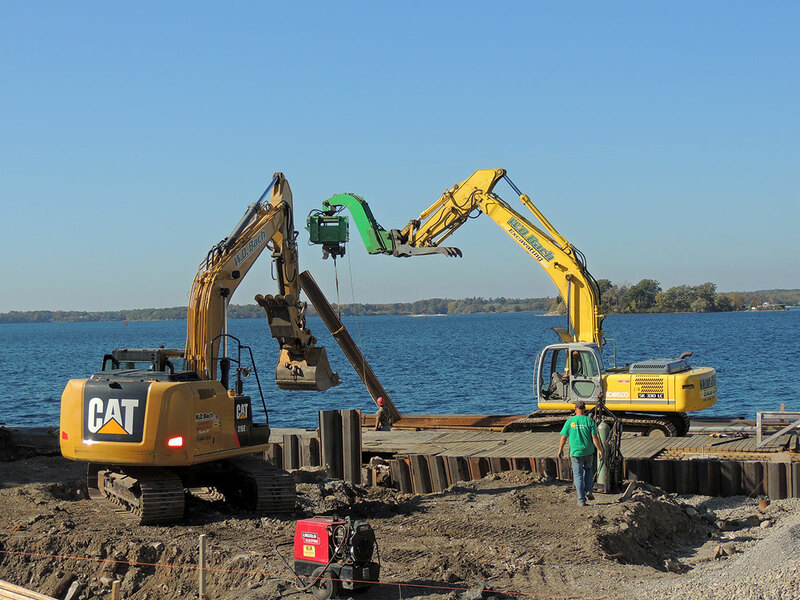 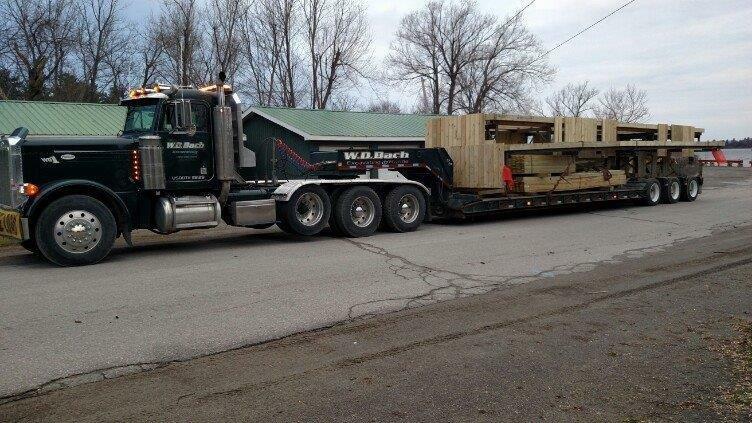 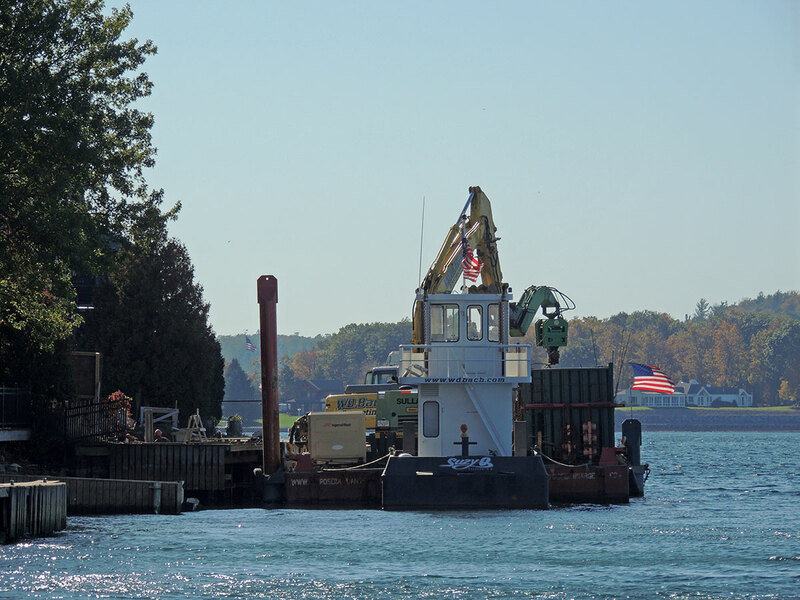 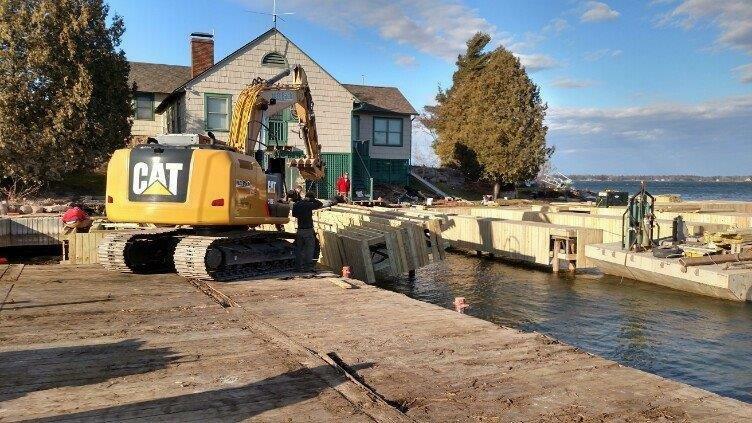 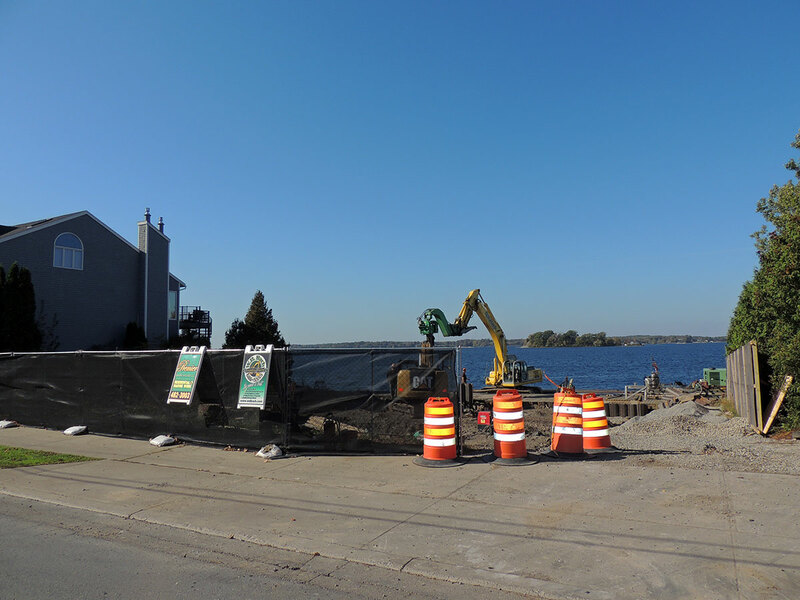 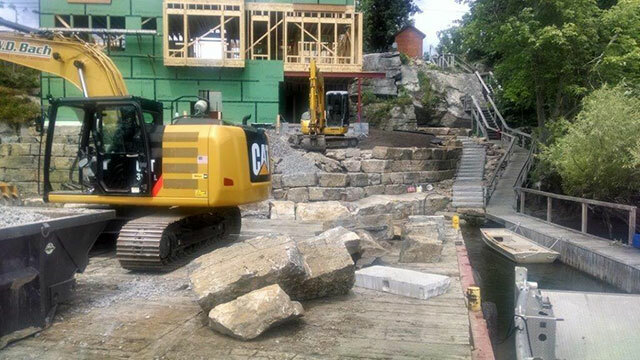 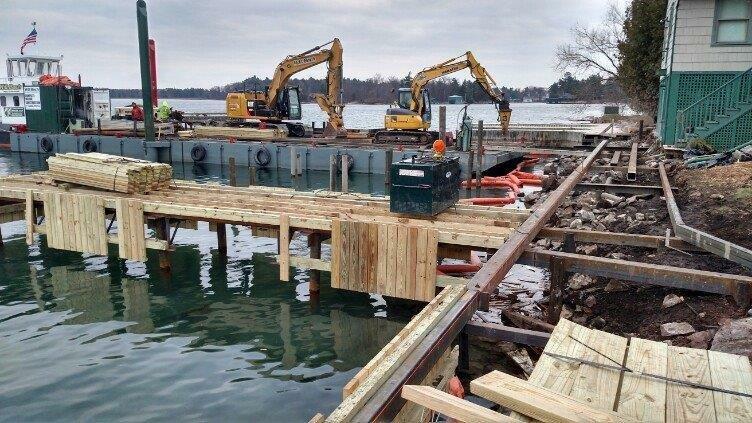 WD Bach is completing site work and a sheet-pile retaining wall for the construction of waterfront condominiums. 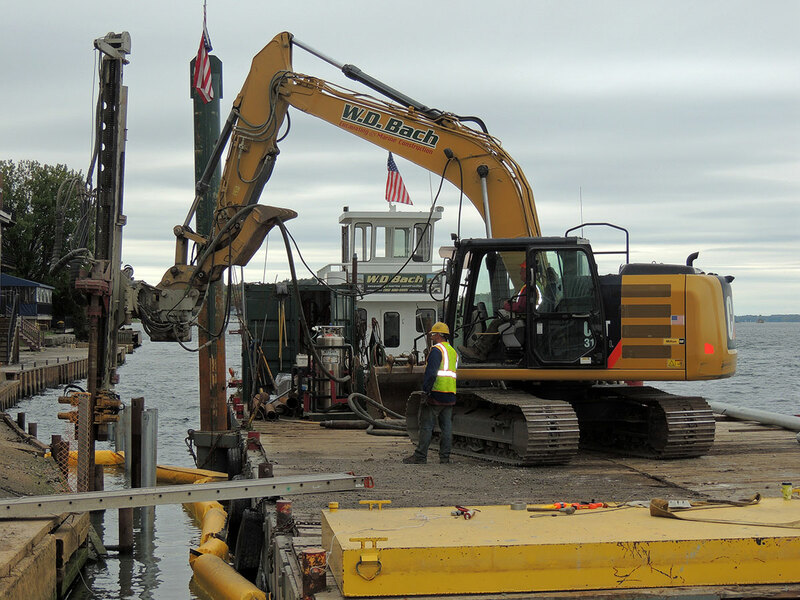 WD Bach drilled pipes for the start of construction on Clayton’s Riverwalk Phase 3. 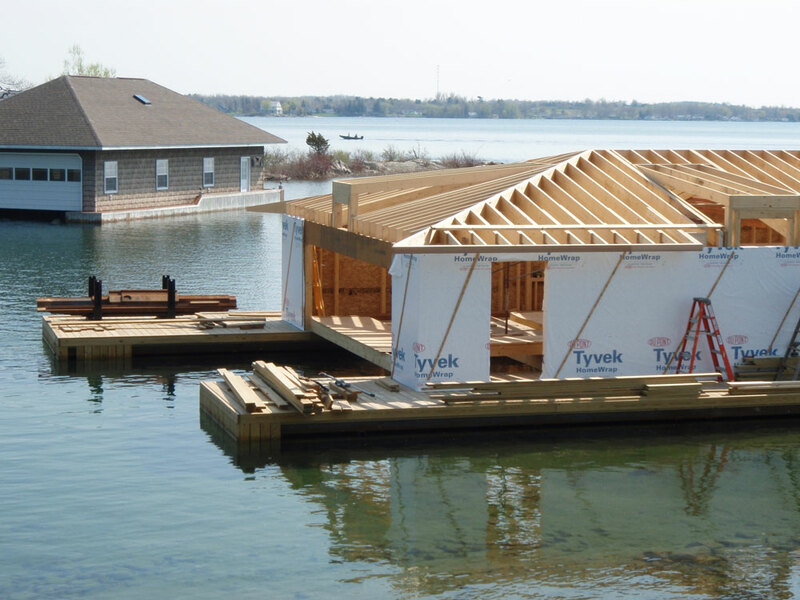 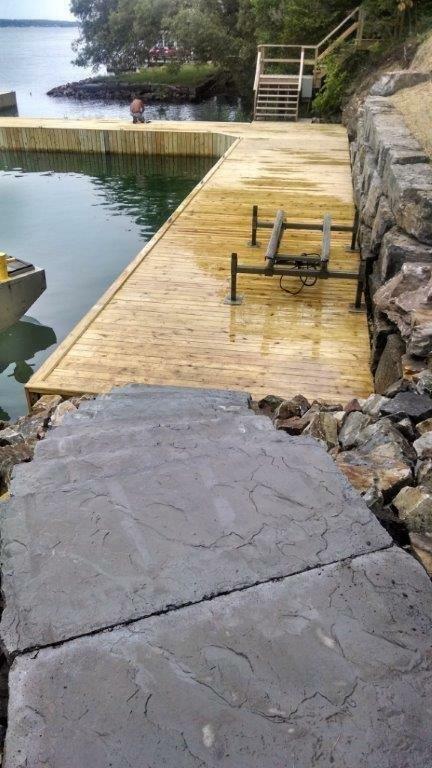 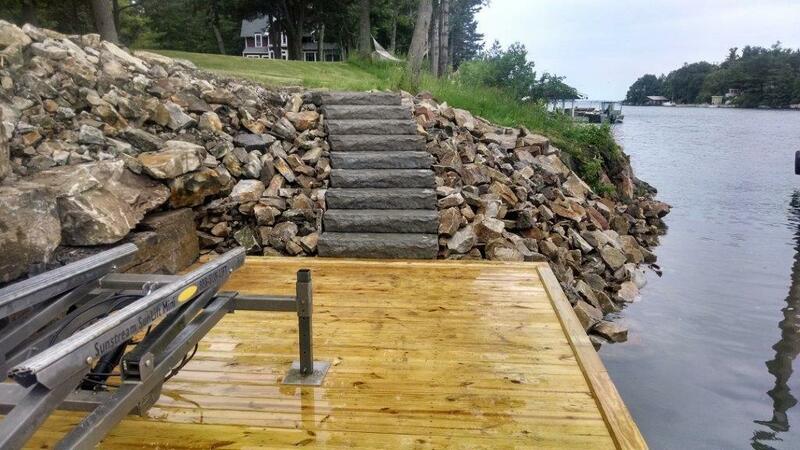 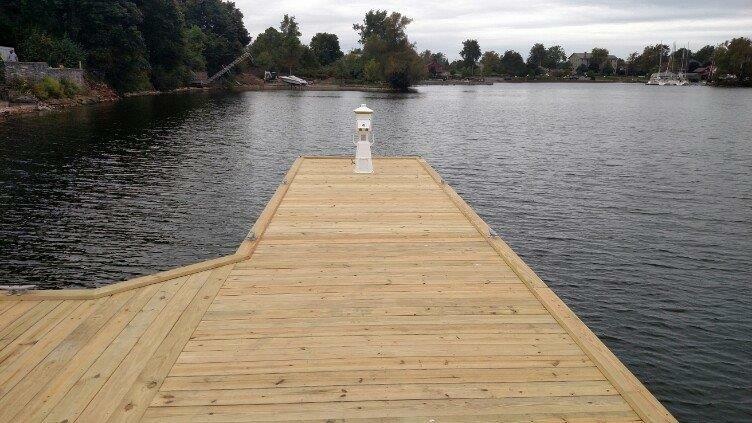 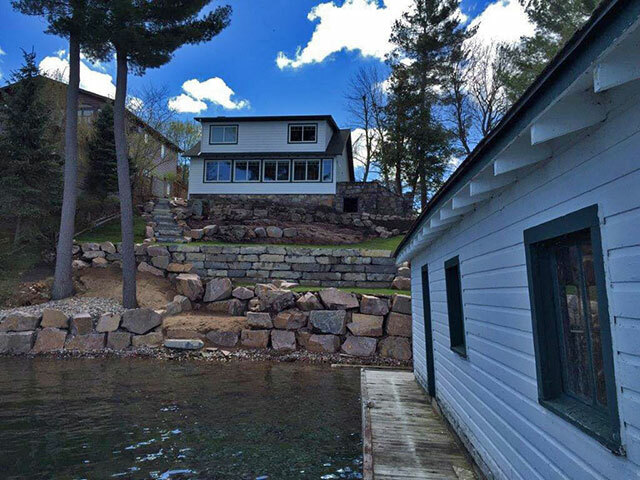 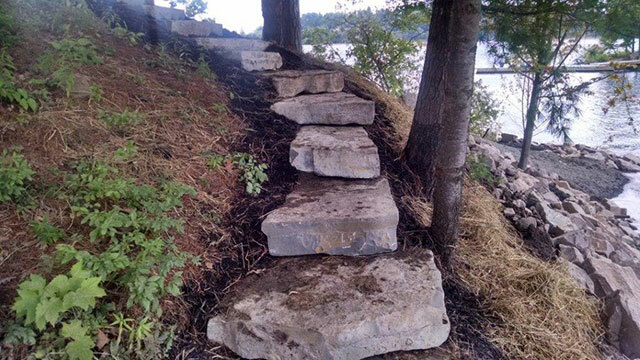 WD Bach installed a stairway on and island in Eel Bay that accomplished the natural look for the client. 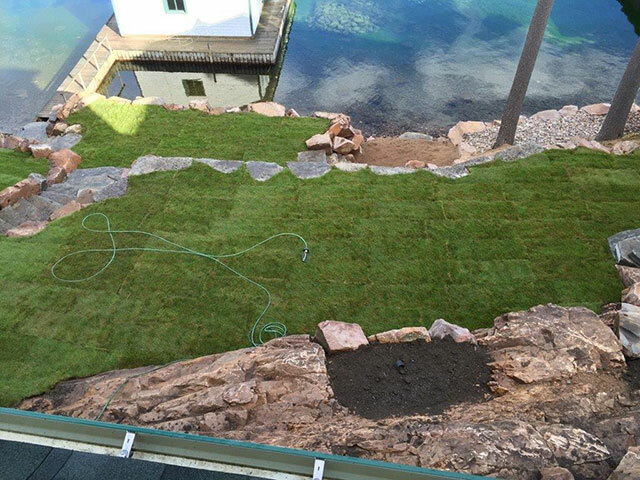 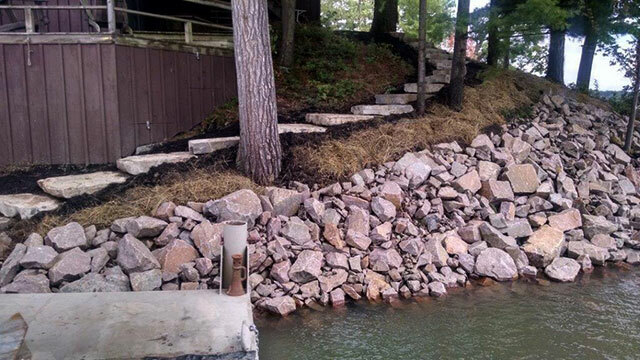 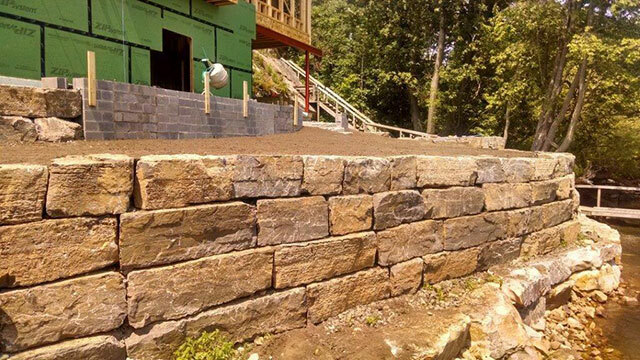 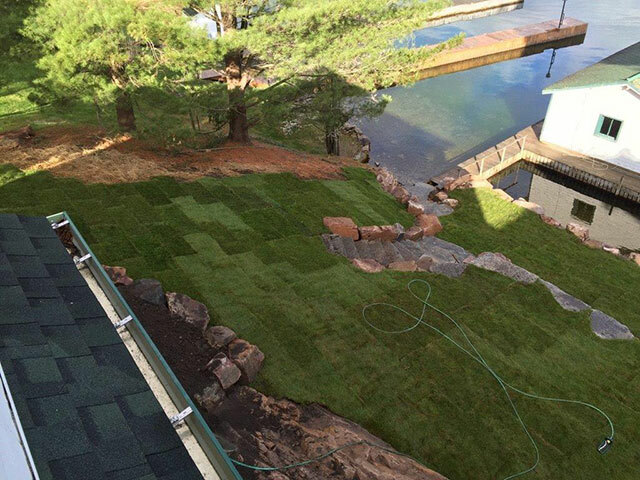 WD Bach installed a terraced yard, limestone retaining wall and stone steps creating usable yard space on Dingman Point, Alexandria Bay NY.